Today at the E3 Conference, Microsoft announced a redesign to the Xbox 360. It is now called the "Slim" The main features of it are that it is smaller, quieter, it has built-in WiFi and a 250 GB hard drive. The wait for the new Xbox 360 Slim is very short as it is shipping today and will be in stores later this week. 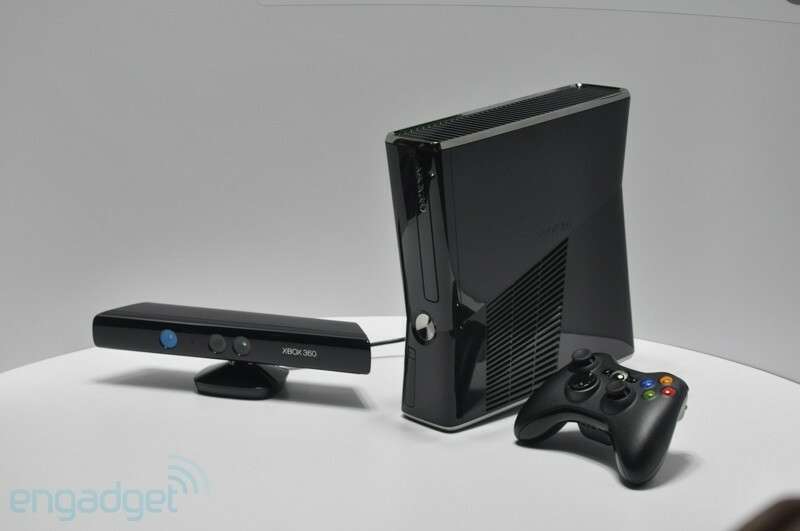 The new Xbox 360 Slim costs $299, the same price as the existing 250 GB model. The new Xbox 360 Slim is mainly glossy black and seems to have more vents for better heat dispersion and it has a sharper indent than the current hourglass design.